Let’s start with the big and obvious one: Rest. If you’re a bit like me, you work pushing yourself, trying to get stuff done, finish the book, the editing, the formatting… and you ignore the effect all that focused work has on your mind and body. Be aware of how that feels. When I do that and get the sense I could keel over and fall asleep right away – then I know it’s beyond time for rest. It’s a quick way to check in with your body, especially if you – like me – live practically glued to your computer and the never-ending activities that demand attention. Rest can take many forms for me, and you need to figure out what works best for you. When I’m really feeling exhausted, I go for a full nap in bed, in my PJs. And that takes two hours. Seriously. A friend of mine jokes I must have Spanish genes in me. Most of the time, I wake up somewhat rested, but also a bit cranky. When I’m unlucky, I wake up cold and cranky. When it was much needed and a good nap, I wake up happy and ready to go. When I don’t have the time for that, or don’t want to risk being cranky, I settle in my armchair with a blanket, lean my head back, and just close my eyes. Half an hour is a good amount of rest, and usually, I’m ready to go back to work after that. Meditation music works for this, but not always. When I need a really quick pick-me-up, I dance in place for a minute or two just to get my heart-rate up and into taking deeper breaths. I’m usually good for an hour after that, but it’s not really a rest. Try it out, see if it helps, and if it doesn’t, keep experimenting. You already have permission for self-care from the exercises of the previous posts, and now I give you permission to experiment to figure out the best way for your body to profit from a rest. You have permission to take breaks and get some rest. Because we work much better and faster when we are rested, and we’re also much more creative. Here’s some tapping to help you give your body the breaks it needs. Even though I learned that I have to power on until I get everything done, I’m totally okay the way I am, and I now give myself permission to rest when I need it. Even though it’s so easy to get lost in work, in my to-do lists and all the activities that draw me in, I’m totally okay the way I am, and I now give myself permission to check in with my body and give it a break when needed. Even though it feels so wimpy to take a nap or time-outs when I need to get stuff done, I’m totally okay the way I am, and I now choose to make self-care and getting some rest a priority. How do you feel about taking naps? How does it feel to check in with your body? 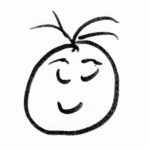 This entry was posted in Mindset and tagged nap, rest, self-care, Self-care for Writers, sleep. Bookmark the permalink. Naps are a miracle cure and I feel less guilty taking these when I need to. I liked the one you mentioned about dancing on the spot and then feeling into the body. I must try it.